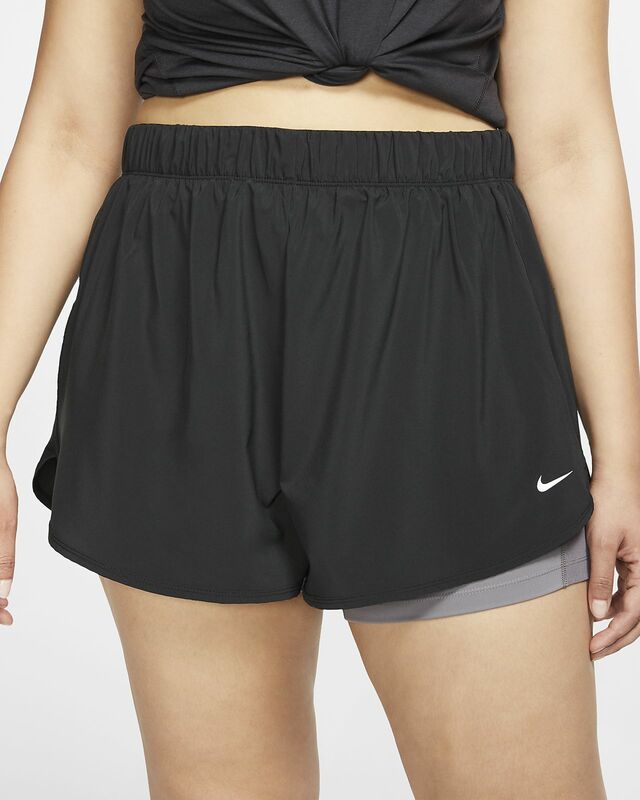 Your favorite shorts return with the Nike Flex Shorts (Plus Size), offering optimal freedom of movement. Their versatile 2-in-1 design pairs the compressive feel of the inner shorts with a lightweight, woven outer layer, providing distraction-free coverage during workouts. 2-in-1 design offers compressive feel and coverage.